The Bloomer in full bloom… | When Judit bakes...bread and better..
A good Bloomer will beg to be eaten…therefore, keeps the baker busy. Given the requirement of a hungry man and his love of the bloomer, I though that for the second time in a row I would try something different for this basic recipe. For thousands of years, people have been using clay pots for cooking and baking. Clay pots are viable for cooking even in today’s modern times. 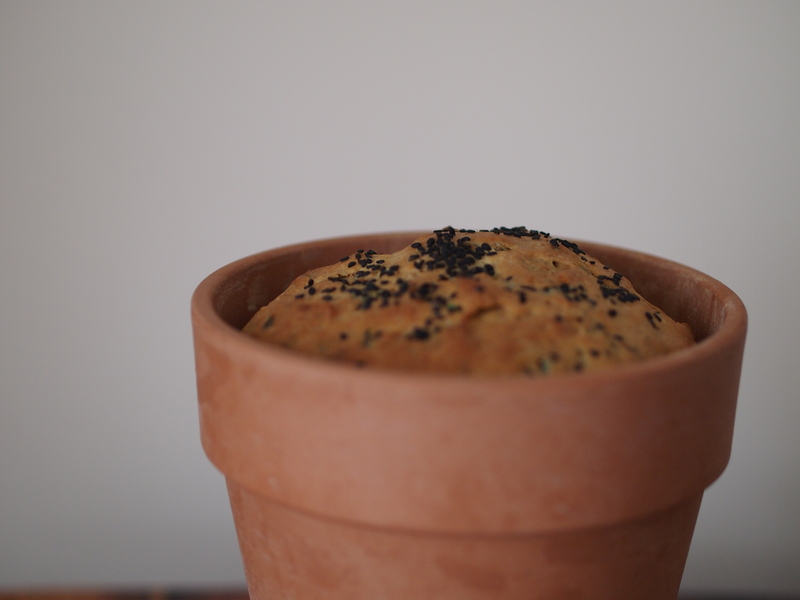 Baking bread is a natural for clay pots, and artisan bakers have rediscovered the beauty of using them. 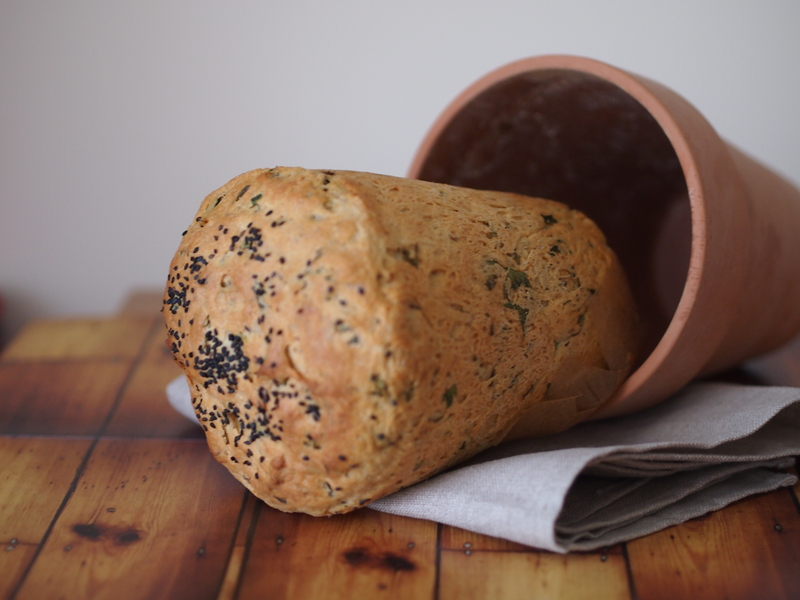 A wide range of clay pots, from round to loaf shaped, are available on the market and can be used to bake bread in any oven. Clay pots can be found online . My magic pot is from a speciality kitchen supply store but one can also season a pot purchased from DIY shops. Wash the pot thoroughly. Soak the clay pot in cold water for 15 minutes. This helps to seal the pores of the clay and allows the pot to steam during the baking process. Then you need to place it in a hot oven for 30 minutes, take it out and allow it to cool completely. Prior to baking soak it again, rub the inside with oil and place a circle of baking paper to the bottom. Prepare your bread recipe according to directions. 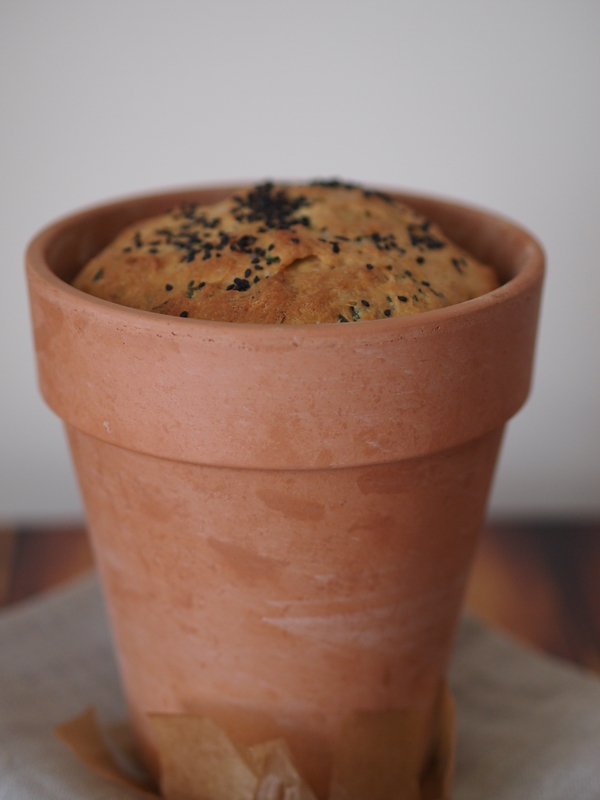 When the dough is ready for the second rise, shape it into loaves or balls that fit the clay pots. Do not fill the pot more than half full, to allow for additional rising. Place the clay pots into a cold oven once the dough has doubled in the pot. Set the oven temperature to about 220C. 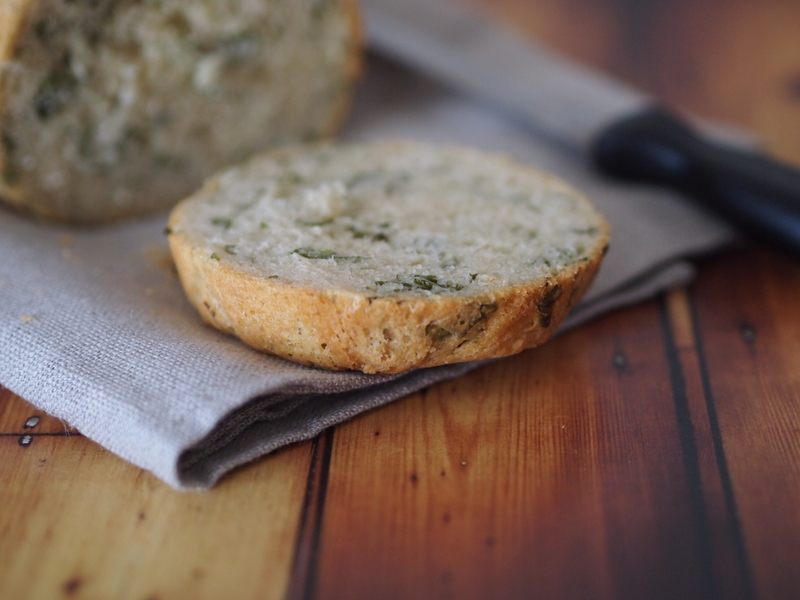 Bake the bread for 10 to 15 minutes longer than called for in the recipe. 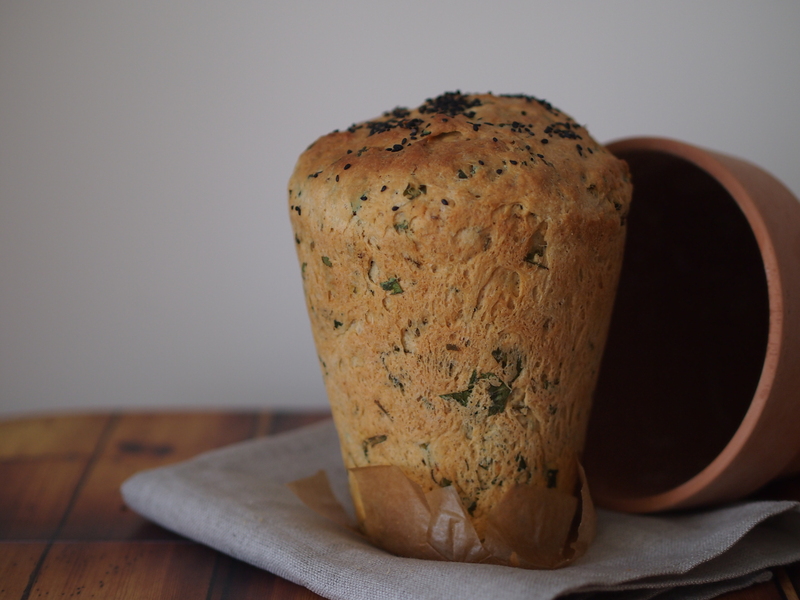 Because you are starting with a cold oven, bread baked in a clay pot takes a few minutes longer than if baked in metal or glass. 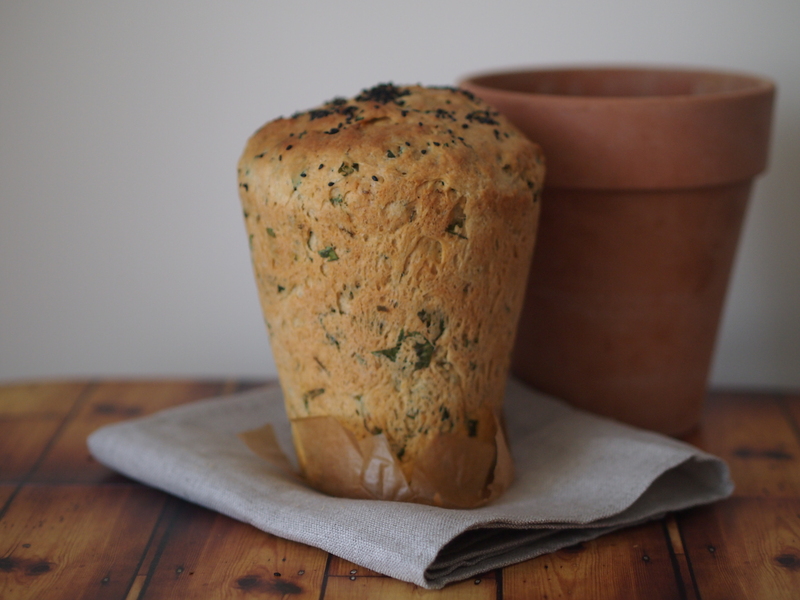 Remove the bread immediately from the clay pots after baking. The pot will continue to cook the bread after it is removed from the oven. 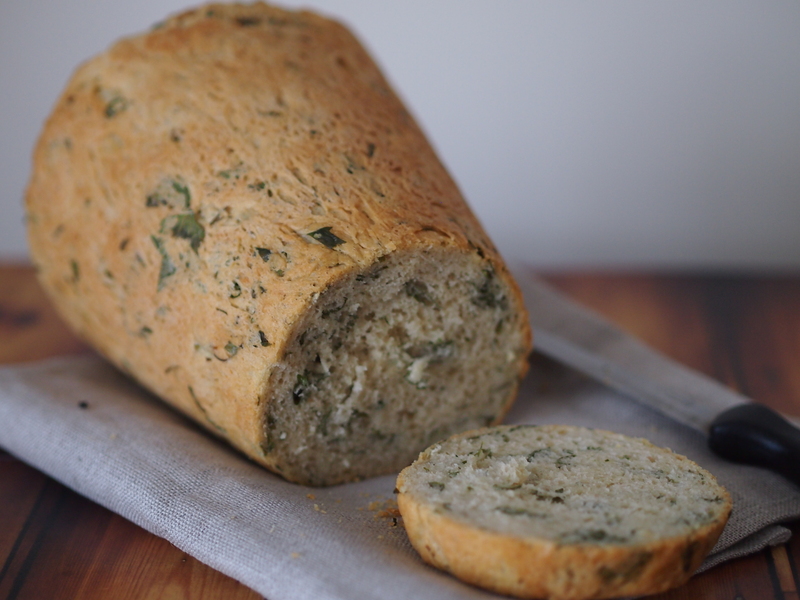 The recipe I used is that of the basic bloomer I have posted previously, seasoned with a bunch of fresh parsley.